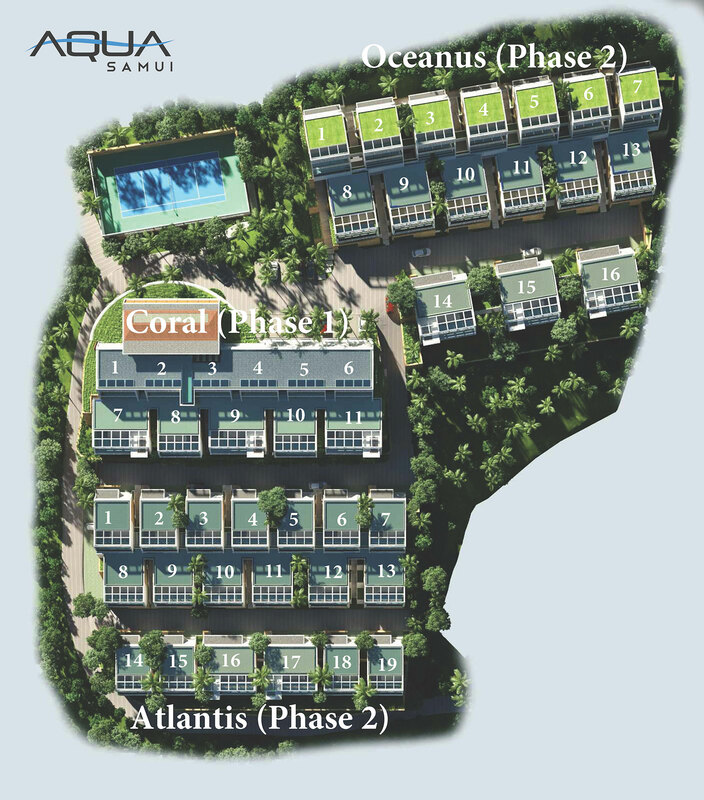 Aqua Samui is an ultra-modern luxury villa development by Luxury Living, a leading real estate developer located on the island of Koh Samui, Thailand. The chic and ultra-contemporary villas, inspired by distinguished architect Gary Fell of Gfab architecture with a design mandate to create spacious affordable luxury, are situated high in the Chaweng Hills incorporating awe-inspiring panoramic views over Chaweng beach towards the shimmering blue seas and clear horizon beyond. Offering unique buying and investment opportunities which include 2 bedroom villas and two styles of 3 bedroom villas, Aqua Samui villas boast a modern, minimalistic design that makes outstanding use of open-plan space and the surrounding natural elements, with each villa integrating rooftop water features, floor to ceiling glass panels, private swimming pool and an individual terrace that literally spills over onto the tropical surroundings..